I love holidays…for the most part. But this year I am dreading Halloween. No, I am not that person who hand outs raisins and toothbrushes and admonishes people that hand out sugar-filled treats. I adore the candy aspect of the holiday and love being with family, creating memories together on the same night every year. This year is different because I realized that the same way I look forward to making memories is what hurts other people on Halloween. For years I have enjoyed Halloween especially now that I am a mom. I think it is fun to dress up my kids and to see all the kids in the neighborhood running around in cute costumes. But this year it is different for me. 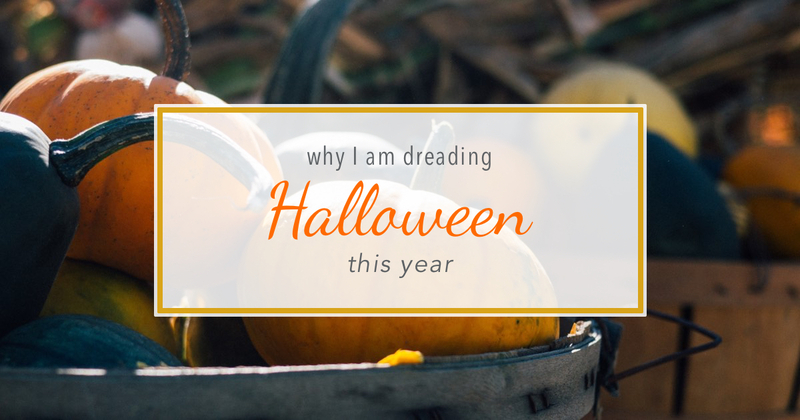 This year my experience with Halloween has changed because of one mom. This mom lost her son years ago. I ran across her at the school. We were virtual strangers volunteering at a school event which had us next to each other for hours at a time a couple times a month. We started talking and sharing about our lives. I learned about her running obsession and how she loved to paint pictures. She learned about my cooking escapades and the latest book I was reading. It was a casual friendship until the day I found out from another friend that she had lost her son years ago. She had never mentioned it in our conversations and I didn’t know how to ask about it. Was I supposed to ask or should I wait for her to bring it up? It felt like a breach of trust knowing this private information about her life that she hadn’t told me but that I knew about her. I decided to keep quiet and wait for her to mention it to me. And if she never did, then I knew she wasn’t ready to talk to me about it. And that was okay. But one day she opened up. And since then my Halloween holiday changed. It started out as an innocent conversation about what our kids were going to be for Halloween. We were laughing at the latest costume ideas our kids cooked up and trying to figure out if that was even possible to pull off until her laughing turned to crying. Like most people I froze, not knowing what to do or say. I finally reached over and asked if I said something wrong. She went on to tell me how everything was wrong now, how her Halloween would never be the same. She shared with me how her little boy had died shortly before his fifth Halloween. She told me how he wanted to be a pirate and how he was so excited about his eye patch. She had crafted the perfect costume for him and he was so happy as he played in it every chance he could before the holiday. But then days before the holiday a car crash had taken him from her and life would never be the same. She told me how she could hold her grief in but at Halloween it is all brought to her attention that her little pirate would never be there again. And that she would never get to make him another costume or see him trick-or-treat or create any new memories with him. She talked about how hard the night of Halloween is for her because she needs to be strong for her other kids but at the same time, all she can see is a little pirate yelling, “Aargh!” with his eye patch swinging off his eye. She misses him and Halloween brings the grief to a clear focus for her. I had never seen that side of Halloween for a bereaved parent before. I had never seen how hard it must be for a mom to be missing her son or daughter as all the other parents are proudly displaying their children in their costumes. My heart aches for her and for all those parents who are suffering through this Halloween. So while all of us will be dressing up our kids and creating new memories of life and laughter, keep your eyes open for the moms and dads who are missing their little ones this year. Hopefully, we can all get to a point where we can make it easier for each other and no one has to dread Halloween but rather can celebrate in the memories of the past and the present.